The Joint Admission Board (JAB) director Prof Bhaskar Ramamurthi told PaGaLGuY that there was no discussion in the recently JAB meeting about the format of questions in the entrance examination. In a recent media report, it was mentioned that the MCQ questions for JEE Advanced will be changed to ‘Short Answer’ questions instead. “I don’t know where this information sprung from. 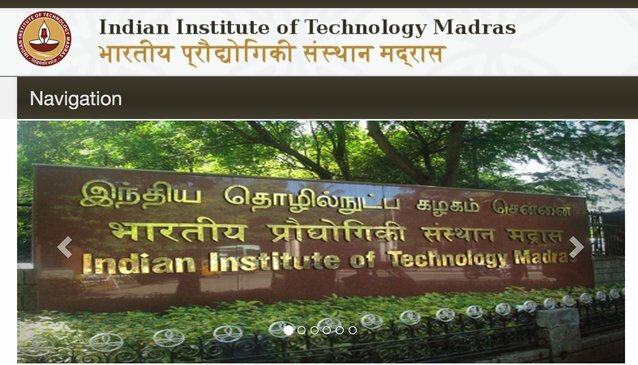 All the 40 members present at the meeting did not discuss anything about the format of questions,” clarified Ramamurthi, who is also the director of IIT (Indian Institute of Technology), Madras, and is responsible for conducting JEE Advanced 2017. In the recently concluded JAB meeting held on August 20, 2017, it was decided that the JEE Advanced will now be conducted online. “In the meeting, members only agreed upon changing the mode of the JEE Advanced examination to online from 2018 onwards. No decision has yet taken about the type of questions. Although, I am not saying they can’t be changed, we will inform about the change, if any, well in advance for the benefit of students,” informed Ramamurthi. Almost 2.2 lakh candidates took the JEE Advanced 2017 and converting the examination mode to online would help the conducting body to evaluate the question papers easily.